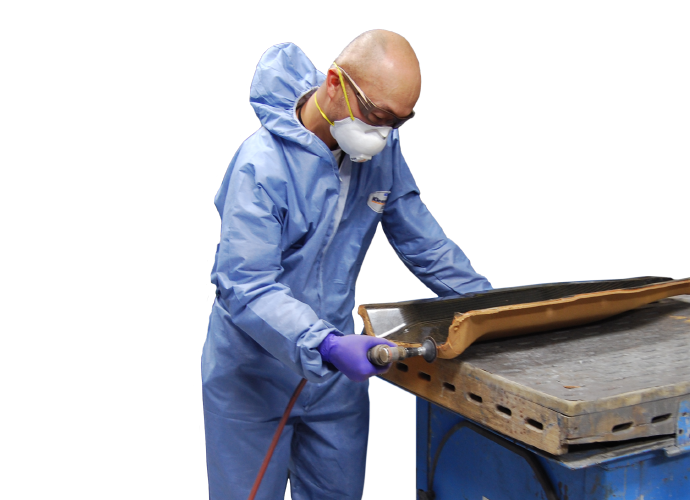 Composite Curing Processes include Autoclave, Oven and Press Curing. Fabrication of Composite Materials Components. 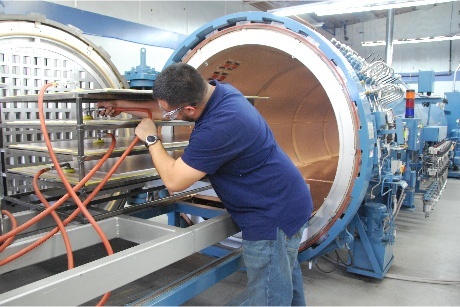 Composite Curing Processes include Autoclave, Oven and Press Curing. Fabrication of Composite Materials Components. Providing rapid, cost-effective and high-quality solutions to meet and exceed your project requirements. 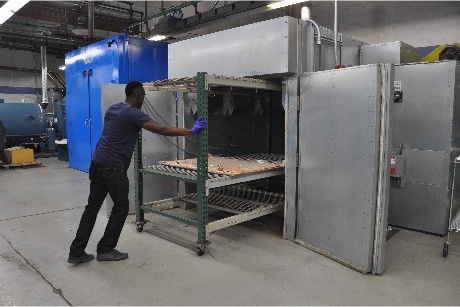 Access a myriad of composite curing equipment all under one roof, including autoclaves, ovens and presses. 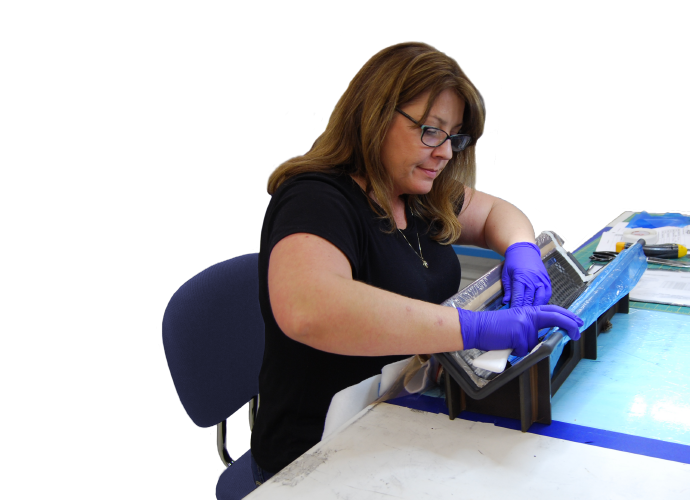 Let us help you choose the best curing process for your manufacturing needs, no matter the scale of production. Equipped with three (3) autoclaves that utilize computerized systems to control the heat-up rate, dwell time, optimal pressurization and cooling operations for each run. Maximum work envelope is 5 ft. diameter x 25 ft. long, with a 350°F maximum operating temperature. For a full list of equipment view our Facilities Equipment List. For out-of-autoclave processes, our industrial ovens are equipped with programmable temperature controllers, allowing for specific cure profiles and precise monitoring of metrics. The maximum work envelope is 6 ft. x 8 ft. x 16 ft. with a maximum temperature of 650°F. 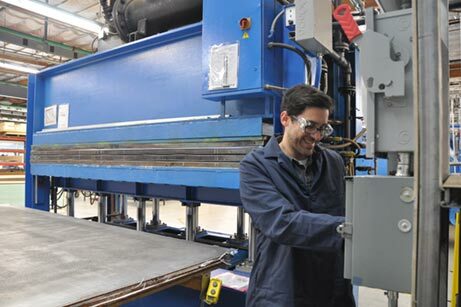 Solid flat panel and sandwich panel manufacturing using two (2) 5 ft. x 10 ft., multi-opening laminating presses that have a maximum operating temperature of 350°F . A variety of mid-sized presses for compression molding of thermoplastic parts are also available. Virtek Laser Projection Systems aid our qualified composite technicians in assembling and processing materials with a high level of accuracy by projecting green laser light to control ply placement and increase manufacturing productivity.